Gauteng is now home to 55% of tech startup founders — ahead of the Western Cape’s 37%. In all, 36% of Western Cape startups report turning a profit or generating significant revenue, compared to 22% in Gauteng. The percentage of black tech startups has risen from 26% in 2015, to 56% this year. Just seven percent of black tech startups turn a profit, versus 15% of their white counterparts. Over a quarter of startups plan to raise angel or VC funding, but only eight percent receive such funding. Successful startup founders are most likely to be white males from the Western Cape. The Western Cape may long have been held as the most popular region in South Africa in which to run a tech startup, but it seems this is no more. 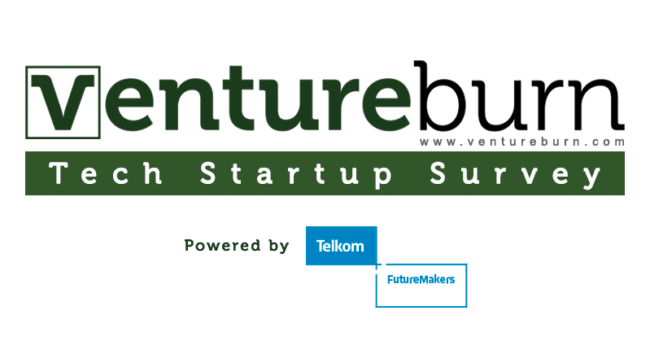 Gauteng has emerged as the most popular province to run a tech startup in the 2018 Ventureburn Tech Startup Survey powered by Telkom Futuremakers. But going on this year’s findings and those from Ventureburn’s 2017 survey, Western Cape startups are still more successful — with a higher percentage reporting having turned a profit or generated significant revenue, than tech startups based in Gauteng. In the survey – which was released today – 55% of the 153 founders quizzed in an online survey run last month (October 2017) said they operate in Gauteng. The percentage is up from 44% in a 2017 Ventureburn survey of 260 founders and 29% in a 2015 Ventureburn survey of 197 founders. This year, 37% of founders said they operated in the Western Cape. This is down from just less than the 47% in last year’s survey and 59% in 2015. Driving the rise in Gauteng tech startups is the increasing number of tech entrepreneurs who are black (black African, coloured, Indian or Chinese South African) – who now make up 56% or over half of the country’s tech startups, up from 46% in 2017 and 26% in 2015. The majority of black startups, or 62% (2017: 53%) list Gauteng as their base, while 27% (2017:42%) say the Western Cape is their home. The remainder are based in the country’s seven other provinces. Of the 153 founders quizzed, 41% list themselves as white (down from 52% in 2017 and 66% in 2015), while four percent again chose not to reveal their race (eight percent in 2015). Yet the Western Cape is still the place to run a startup if you want to be successful. A higher percentage of tech startups in the Western Cape report making a profit or generating significant revenue than those in Gauteng. The figure is 23% of Gauteng tech startups (2017: 22%), compared to 36% (2017: 32%) of startup founders in the Western Cape. Across all participants that took part in the survey, 27% said they were either profitable or making significant revenue. Just 10% of startups said they were making a profit. The majority were either not making any revenue or were generating a very small revenue. In all, 40% (2017: 45%) said they were not generating any revenue, while 33% (2017: 28%) said they were making an insignificant amount of revenue. Just 21% (2017: 19%) of those surveyed said their startup is turning over R1-million a year. The remainder of firms, or 27% (2017: 18%), generate between R100 000 and R1-million a year. The majority of those startups Ventureburn surveyed are run and founded by males aged between 25 and 50. In all, 41% of those surveyed have one founder, while 27% have two founders and 22% have three founders. The remaining percent have four or more founders. Males run 65% of those startups surveyed, while 19% have both male and female founders and 16% were founded by females only. Half of those surveyed operate in just three verticals – Software as a Service (SaaS) (19%), fintech and insurtech (18%) and the media, advertising and marketing sector (13%). About a third of respondents founded their startup in the last year. Likely because of this, only a quarter say they operate from offices. The majority work either from home or remotely. Half of those surveyed own their own product or intellectual property (IP), while 38% are a service-orientated business (such as an agency or software development house). The remainder of startups are e-commerce businesses (8%) or license or use another’s product or IP (3%). Most of the surveyed founders are aiming to service or are servicing, either the SA market only (40%) or the entire African market (41%). The remainder list the entire world as their market. In all, 71% of founders (2017: 67%) surveyed said they had been involved in running a startup before, with most of those having been involved in either running one or two business previously (56% of all founders surveyed). Most founders said they founded a startup to become a pioneer or innovate (15%) or after seeing an opportunity (13%). Only four percent said they started a business to make big money. Of the founders, 76% (2017: 73%) reported having worked in a corporate previous to starting their business. In line with Ventureburn’s 2017 survey, over half of startup founders again listed raising or accessing funds as their biggest challenge (52%), followed by a lack of skilled staff (10%). Connected to this, most founders said incubation programmes could add the most value in helping them to source funding (28%) and open up market access to participants (26%), rather than assist with commercialisation (21%), business training (17%) or idea generation (8%). Black startups may have grown in number, but they are still struggling. While 15% of SA tech startups founded by white entrepreneurs are turning a profit, a mere seven percent of black owned tech startups are making a profit. In addition, black startups are in a worse financial position that their white counterparts. Of white founders, 28% say they have three or fewer months left of funds left to operate on – significantly lower than black founders, where 51% say they will run out of funds in three months’ time. It’s clear to see why. Over half or 51% of black startups surveyed (2017: 61%) generate no revenue at all – because they are still working on their concept or are in the seed stage. Just 20% of white startups say they are yet to make money (2017: 30%). In addition, while 39% of white startups (2017: 29%) bring in a revenue of over R1-million, just 14% of black startups do so (2017: 9%). Almost two-thirds of black startups (2017: 75%) generate no revenue at all or less than R100 000 a year — compared to 37% of white startup founders who make under R100 000. When it comes to access funding more white founders (11%) have had angel funding than black startups (six percent), while white founders accounted for 50% of all those startups that reported having tapped angel (2017: 59%). It suggests better resourced white startup founders who often have access to more capital, skills and experience and better networks are able to out perform black startups. When asked how they plan to raise funding in the future, 46% of white founders say they will do so by securing a private equity, VC or angel investment, versus 37% of black startups. One may be because more white founders say they run a business in which they have developed their own intellectual property (IP). Added to this, more white startups operate in the more lucrative business to business (B2B) space (over business to consumers or B2C), compared to 46% of black startups. Furthermore, a far higher percentage of white startups operate in the money-spinning sectors of fintech and insurtech sector and Software as a Service (SaaS) than do black startups. The experience of age (which often also brings with it more accumulated capital, work experience and more contacts) could also make a difference. White founders are older than their black counterparts – 48% are over the age of 35, compared to 36% of black founders. 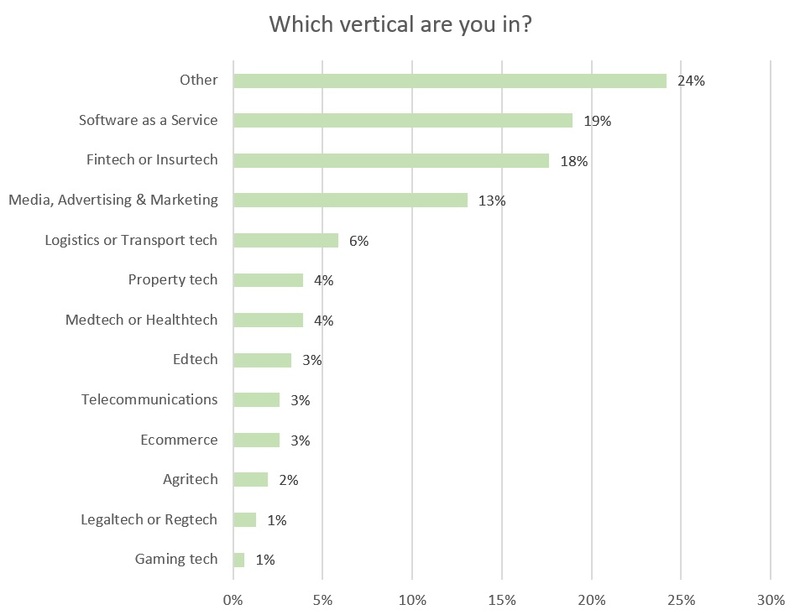 When it comes to funding, the survey reveals that over a quarter of founders or 29% of SA tech startups believe that they will grow their business by securing venture capital (VC) or funding from angel investors – yet the reality is that only about 11% report having been able to secure such funding, the survey reveals. Are startup founders then out of touch with reality? South Africa has seen an explosion in venture capital (VC) deals of recent – with a recent Southern African Venture Capital Association (Savca) report finding that funds had invested over R1-billion in startups and early-stage companies last year (with the number of reported VC deals having risen rose from 114 deals in 2016 to 159 last year). In addition, angel investors invested approximately R73-million, compared to R44-million invested in 2016. Yet such funding still remains beyond the reach of most local tech startups. Ventureburn’s survey confirms this (see the below graphs). The majority of SA tech startups or 38%, use their own cash to fund the business (2017: 40%), followed by loans and grants from friends and family at 22% (2017: 23%). When they are able to get funding, most startups tap very little. 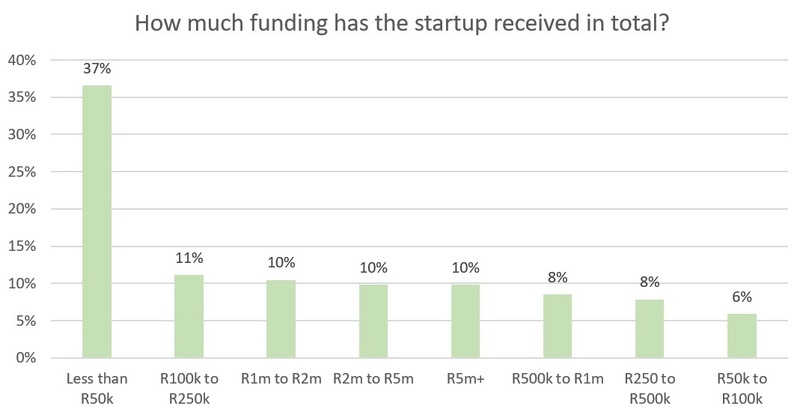 Only 20% (2017: 16%) received R1-million or more (the value at which angel investors and VC funding usually starts at). In all, 37% (2017: 42%) of startups reported getting less than R50 000. The remainder 43% (2017: 42%) received between R50 000 and R1-million. 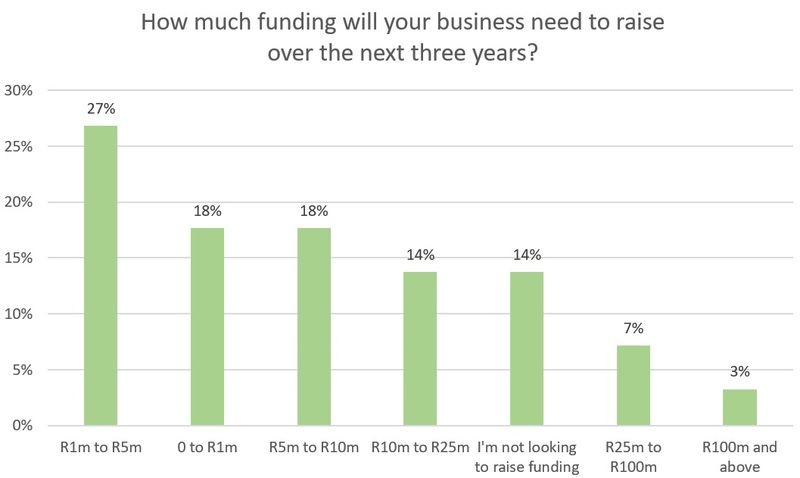 Over a quarter or 27% of founders said they aim to raise between R1-million and R5-million over the next three years (2017: 30%), while 42% (2017: 31%) want to raise funding of over R5-million and 18% want to access less than R1-million (2017: 21%). A further 14% (2017: 17%) are not looking to raise any funding. So, who then run the most successful startups (defined as those that make a profit and are growing)? Interestingly the survey reveals that a higher percent of startups founded by both male and female founders (41%) report turning a profit or generating significant revenue, than startups run only by males (25%) or only by females (20%). On top of this, more white founders than black founders report being successful – in all 59% of startups that report turning a profit or generating significant revenue are run white-owned firms (2017: 65%). Taken by race group – 40% (2017: 36%) of white founders report being successful, compared to just 19% of black startups (2017: 13%) (and just 13% of black-African founders, however this is up from 10% in 2017). About 36% (2017: 32%) of startup founders in the Western Cape say they are successful – compared to 23% (2017: 22%) who are in Gauteng who list themselves as successful. Most are over the age of 40 or between 30 and 35 years old – 38% of startup founders in these ages groups say they are successful (2017:36%). And most of those who say they are successful, run a fintech or insurtech or a SaaS startup. Those that are successful are also more likely to have a business partner and a startup that is already over two years old (55% over two years old say they are successful versus just 11% under two years old). They will likely also tap the North American or European market instead of only the SA or African market. And they will likely service other businesses, rather than consumers, as 32% of those running B2B firms say they are successful versus 23% of B2Cs. Finally – are you more likely to be successful if you have run other startups before? In short, not necessarily. Data from the survey reveals that 28% (2017: 33%) of founders who have run one or more startups previously, report being successful with their current business – not overly different from the 25% (2017: 30%) who have never run a business before and say they are successful. However there appears to be some correlation with the number of startups a founder has run as a predictor of success. Fifty percent of those who have run five or more startups report that they are successful with their current firm – compared to 29% of those that have run one to four startups before. *Note on the methodology the survey used: In all there were 169 respondents to the survey which was conducted using an online questionnaire, by data analytics firm Qurio. Of this number, 16 respondents were found to be employees of startups (rather than founders) and were excluded. The survey therefore sampled 153 startup founders. To ensure the integrity of the data, PwC will be involved to perform specified procedures, the results of which will be included in a report that will be available for inspection upon request.